Todd Staples, Meatless Monday: Texas' meat-loving agriculture commissioner calls it quits following Meatless Monday fight. 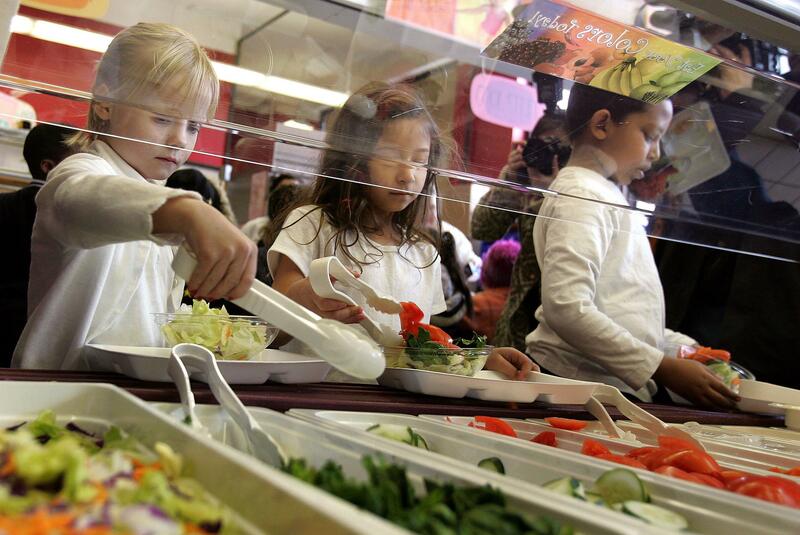 Students dig into a salad bar in their school’s cafeteria. Texas’ meat-loving agriculture commissioner has abandoned his beloved steak, pork, and mutton for oil and gas. Commissioner Todd Staples, who earlier this month wrote a blistering—if largely fact-free—jeremiad against the “Meatless Monday” movement, announced Thursday that he will quit his statewide-elected office early to take a job as the president of the Texas Oil and Gas Association, a powerful trade group in the Lone Star State. Staples has been atop the state’s Department of Agriculture since 2007. Earlier this year he came up short in his bid for the Republican nomination for lieutenant governor, and then found himself back in the headlines earlier this month after penning his pro-meat op-ed. (Sample line: “Restricting children’s meal choice to not include meat is irresponsible and has no place in our schools.”) For more on Staples’ push to paint Meatless Monday as an evil vegetarian plot, you can check out my story from last week. According to Vote Smart, the oil and gas industry funded Staples’$2 2010 campaign for re-election to the tune of $80,700—a lot of cash for a state office but less than the $105,100 the livestock industry gave him in the same cycle.